Food prices are once again making headlines worldwide. Depending on where you live, you may be one of the fortunate few who have not have yet felt the market’s bite. Others however, are not so lucky. Below is a report by Ugandan journalist Machrine Birungi on the financial problems affecting ordinary Ugandans as they prepared for Christmas. Due to the price of soda, meat and vegetables, many anticipated a smaller celebration as their shillings dropped in value on the global market. Birungi wrote this report for Panos London, an organisation promoting the participation of marginalised people in public debate. As luxuries go, a bottle of soda seems a modest one. For many Ugandans, especially in the rural areas, soda is one of the biggest luxuries, only drunk on special occasions like Christmas. Along with a new dress or shirt (often the only new clothing of the year) that’s how Christmas is celebrated in rural Uganda. As many people in rural areas have very little cash, relying largely on food they have grown, a bottle of soda is the equivalent of champagne or cognac. This past Christmas however, many families, especially in the rural areas, were struggling to feed themselves. Food prices are rising and the Ugandan shilling’s value has dropped sharply against the US dollar. A year ago, a bottle of Fanta cost just 500 shillings, but now will sell for 800 shillings at local shops in Kampala. Added to this is the usual seasonal price hike during the festive season because the traders know everyone drinks soda at Christmas. Kennedy Mutenyo, the manager at Century Bottlers Promotions, says the depreciation in the value of the Ugandan shilling over the past three years has led to an increase in the cost of raw materials used to make carbonated drinks, which has forced soda makers to push up their prices. A 12-bottle crate of soda now goes for 17,000 shillings, up from 15,000 shillings this time last year. It may sound like a modest rise but with income staying stagnant or even falling, it is enough to make many think twice about treating themselves. 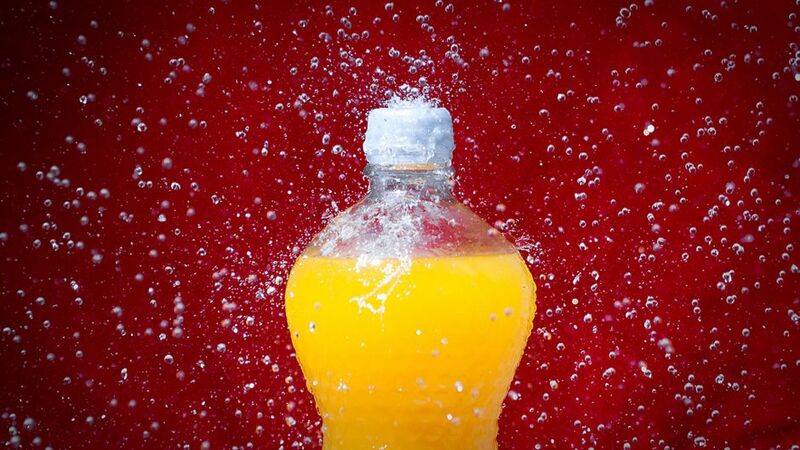 Mutenyo explained that the rising value of the dollar had hit the soft drinks manufacturers badly, because 98 per cent of the ingredients used in the manufacturing of soda are imported. The falling value of the Ugandan shilling and the effects of drought have taken the shine off Uganda’s economy. Importers are paying more Ugandan shillings for fewer US dollars, pounds and euros, and as a consequence are importing less. The official exchange rate of the shilling against the pound is at a new low of 3,600 shillings and that of the shilling against the dollar is at 2,280 shillings. A year ago the exchange of the shilling against the dollar stood at 2,073 shillings. Yvonne Mhango, head of research at Stanbic Bank, told me that the depreciation of the shilling can be traced to 2008, when the global credit crisis triggered nervousness in the global financial markets. Investors have been pulling out of short-term investments in emerging markets like Uganda, because they are considered to be high risk. Instead the investors are investing in gold and US treasury instruments. A slump in the demand for Uganda’s domestic exports in the EU countries, resulting in reduced export earnings, the decline in foreign investment and aid flow, coupled with a decline in NGO inflows and remittances has continued to impact negatively on the Ugandan economy and the value of the shilling. Essential commodities are becoming more expensive in the local market with the prices rising by almost 20 per cent in most parts of the country. Added to this is the cost of the other staple Christmas treat here in Uganda: roast meat. In rural homes without any form of livestock, the head of the family will trek to the market on the 24th of December with a bicycle packed with bunches of matooke [green bananas], in the hope that he can sell them and use the money to buy meat and other needs. For others, it is a joint effort where all working family members come together and contribute to the Christmas budget for meat. There is plenty of meat to buy, but the prices are forcing people to cut right down, or go without. In good times, families might come together to slaughter a cow for Christmas. But Margaret Kirabo, a mother of five told me there were plenty of cows in her village but she thought she might not see even a kilo of meat in her household for Christmas. The farmers blame the increase in the price of food on high temperatures and increased prices of pesticides in the country. Low crop yields triggered by high temperatures have triggered food shortages in many parts of the country. Vegetables like tomatoes, sweet pepper, cucumber, cabbages, Irish potatoes and carrots were likely served in small proportions this Christmas. Farmers I spoke with in Jinja, in Eastern Uganda say production is low and efforts to make the best out of Christmas were slimming out. Fred Mususwa, a farmer and trader from Butagaya sub-county told me had to increase the price of crops from his garden to claw back losses from the last three months. Andrew Ssekimpi, a shopkeeper in Masaka said it would be a tough choice for him when he went shopping, because most of the most appealing Christmas goodies are imported. He said that he would cut back on shopping for clothes and reserve the little money he had for foodstuffs. As the holiday season ends, Ugandans’ choice of what to eat and drink is being determined not by the amount of money in our pockets but rather by the value of that money. Panos London promotes the participation of poor and marginalised people in national and international development debates through media and communication projects. They are part of the worldwide Panos Network of independent institutes working to ensure that people in developing countries have access to the information they need to improve their lives. Their work aims to foster inclusive debate, pluralism and democracy. Machrine Birungi is a deputy editor at the Uganda Radio Network. She also works as a media trainer, and contributed to Uganda’s first-ever national diploma in journalism. She has been contributing to InterWorld Radio since 2005, focusing on human rights, health, HIV and AIDS, information and communications technology and gender. In 1997 she won the Ministry of Information’s Best Reporter of the Year award for her coverage of the war in northern Uganda and in 2005 she was awarded first prize in the US Embassy in Uganda’s Radio Awards in the economic development category.